I’m not even sure what to say or how to begin. I’ve gone from shock, to anger and horror, to having an uncontrollable urge to vomit as I watch the depravity of the human soul on full display. I’ve seen some things in the last 2 years that I’ve been working withStripped Free. Things I wish I could erase from my mind. I’ve seen the demoralization and degradation of human beings. I’ve seen souls shattered and beaten down over and over again. I’ve seen a twisted and horrifying version of a savior complex that has left me shaking my head in disbelief. I’ve seen the depths people will go to in order to try to erase past pain and humiliation only to experience deeper levels of shame than they ever anticipated. I’ve seen the worth of a soul reduced to a dollar in some of the darkest environments imaginable. But I’ve never seen anything quite like this. The Bunny Ranch Brothel Kicks Off $$$ Million Dollar America’s Next Top Virgin! Competition.I’m speechless. The bottom line, 20 year-old Katherine Stone had tragedy strike her family. Their uninsured home burned down in a fire and she was forced to leave school and get a job to help support her parents and two younger sisters who are currently living in the rubble of their former house. She has now become the first woman to enter this contest for a million dollars to help her family. You can find out more about the details of this contest on-line. It is truly unimaginable. Katherine, I want you to know something. You are a beautiful young woman who has been created in the image of God. He formed you in your mother’s womb. You are fearfully and wonderfully made. I have no idea if you believe there is a God or not. Let me assure you there is and He is crazy in love with you. What you are about to take part in will do incomprehensible damage to your heart and soul. You will emerge from this competition as a shell of your former self. It’s obvious you have a huge heart and deep love for your family and it’s an admirable thing to want to do anything you can to help them.There is another way.I promise you God has another way! I watched the video of your first interview. From some of the articles I’ve read it appears up until this point you have never even kissed a man before. In your video you looked very innocent and also terrified. You are saying all the right things, but I can see the fear in your eyes. I know you have already had to experience things in these first few days that have probably been traumatic for you, but it’s not too late to turn back.It’s never too late.You will lose so much more than just your virginity in this contest. Whether you can see it now or not, this is the turning point in your life. This will lead you down roads you were never meant to walk. This will lead you to things you were never meant to do. This will change the trajectory of your life in an unimaginably horrific way. Please get off this path now. There is another way to help provide for your family. There are good people out there who can help and there is a God who has all the answers and who is Himself the ultimate answer for you. I can promise you that.Know this: you are loved and you matter and you are worth so much more than this. Dennis, I’ve read articles that talk about how generous you are with the crippled, the poor and the orphaned. I’m not even sure where to begin. Maybe I should begin by talking about what it means to be a real man.A real man doesn’t see dollar signs when he looks at a woman.A real man would never dream of exploiting the innocence of a pure heart as some kind of financial stunt for shock value. A real man would never be responsible for doing irreparable damage to a woman’s soul by putting a price tag on her or her virginity. Whatever work you have done with the crippled, poor and orphaned is all just a front for you to soothe a guilty conscience. A deeply guilty and shame-filled conscience. Let me tell you what a real man looks like because I see them all the time.I have been blessed to have wonderful Godly men cross my path who have shown the love of God in tangible ways to women who are leaving the adult entertainment industry. The gentleman that I just sat across from who donated a car for a single mom leaving the industry, whothanked mefor giving him this opportunity to help impact a life.That’s a real man. The mechanic who fixes busted up old cars and keeps them running for moms who can’t afford car repairs.That’s a real man. The doctor who donates his services and sits with a woman helping her with medical and emotional issues for the first time in her life.That’s a real man. The employer who realizes he has a job opening that might be a good fit for someone needing a fresh start and does whatever he can to make that job a reality.That’s a real man. The professional who teaches a woman how to deal with a resume that includes nothing but industry jobs and begins to replace fear and shame with hope and healing by pointing out positive job skills that can be used in other places of employment.That’s a real man. The husband who loves his wife well in front of a woman leaving the industry showing her for the first time that there are good men out there and she is worthy of one.That’s a real man. I want deeper faith. I’ve been a Christian for more than 30 years and I’m still surprised at how little faith I have in certain situations. 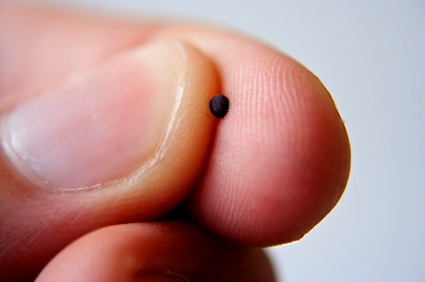 The Bible talks about having the faith of a mustard seed. (Matt. 17:20) An itty-bitty mustard seed. I’m happy that’s all it takes because at times, that’s all I have, but I want more. I want a deeper faith. Why? Hebrews 11:6 tells us that without faith it is impossible to please God. No matter what I do in life or ministry, if it’s not done in faith, it’s not pleasing to Him and I want to please Him. He’s my Abba Father. The One who knit me together in my mother’s womb. He loves me passionately and I love Him passionately. I want to please and glorify Him. As Jesus left the house, he was followed by two blind men crying out, “Mercy, Son of David! Mercy on us!” When Jesus got home, the blind men went in with him. Jesus said to them, “Do you really believe I can do this?” They said, “Why, yes, Master!” He touched their eyes and said, “Become what you believe.” It happened. They saw. “Become what you believe.” Such powerful words. What do I believe I can become through Him? How far will my faith take me? Those seem to be the foundational questions at our Finally Free Women’s Conferences and with our Stripped Free Ministry. I have met so many women both inside the church and inside the strip clubs of Indianapolis that are literally becoming what they believe. What do many of them believe? They believe they are worthless and no one cares if they even exist. 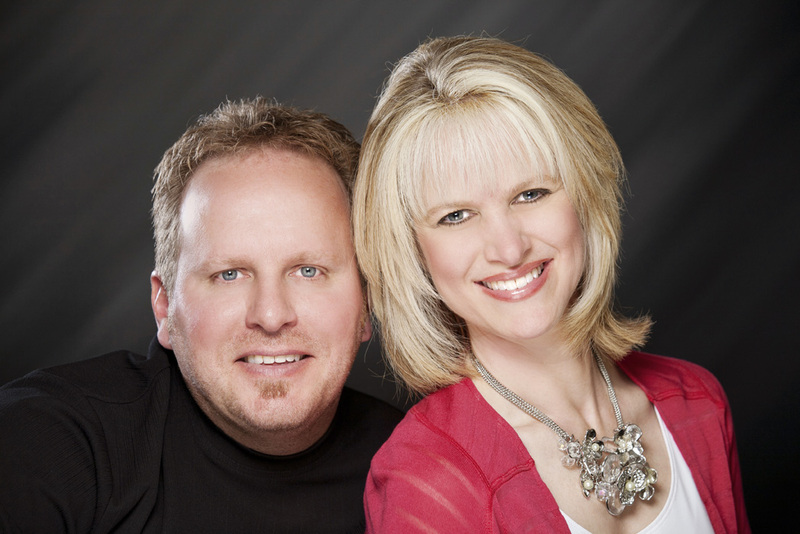 They believe they aren’t lovable and they have fallen too far for even God to reach them. They believe they are failures not worthy of love or even the smallest bit of success. So there they sit, in the pews of our churches or on the bar stools in the clubs marinating in a sea of worthlessness and unbelief. Things will never change so why should I even try? No one cares, least of all God. Can you try an experiment for just a few days? Can you give God a chance? Take Him seriously and begin to believe with just the faith of a tiny mustard seed. Start there and see what He does with it. The Bible tells us that “faith is being sure of what we hope for and certain of what we do not see” (Heb. 11:1). He is the Living One and even though you may feel you can’t see Him, He sees you and He loves you. No matter where you are or where you’ve been, you are never too far for Him to find you. If you have had a hard time buying into this whole concept of God, begin to believe He exists and He loves you. Allow those thoughts to even enter your mind for the first time and become a part of your thinking. Begin to believe He has a special plan and purpose for your life. Begin to believe things can be different. Begin to become what you believe. For more information on the Finally Free Women’s Conference or to bring the conference to your church, visit us on the web by clicking HERE.